This Daruma is all white. 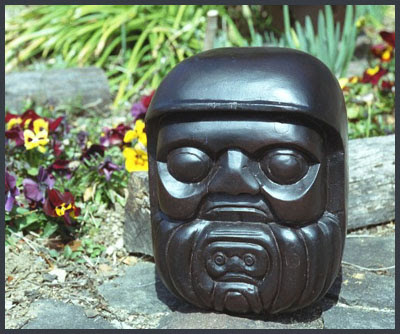 If you look closely, the child Daruma already has a large beard! Maybe because they are made in memory of Takeda Shingen, the great warlord of the area during the Edo period. And the side is decorated with the auspicious pattern of "Pine, Bamboo and Plum" (shoo chiku bai). 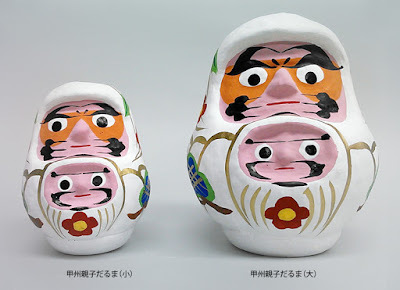 GOOGLE for more parent and child Daruma dolls !
. Folk Toys from Yamanashi .